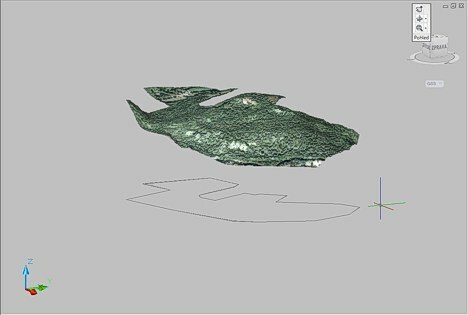 CAD Forum - Draping an aerial image on a Civil 3D terrain surface. 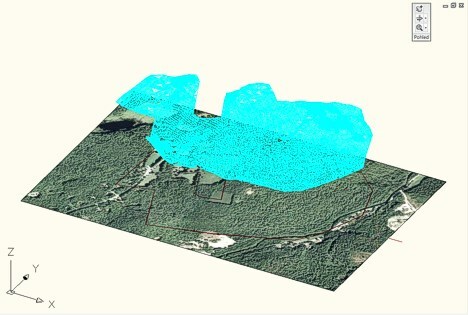 Draping an aerial image on a Civil 3D terrain surface. If you have an aerial image (satellite image, aearial photography, map) of the territory you work on, you can use the AutoCAD Civil 3D function for draping images on triangulated 3D surfaces. As Google Earth is the most used source of such aerial images, you can also use the direct and easy way - the internal GE import function (ImportGEImage) - to load a georeferenced image from Google Earth (caution - does not work properly in some versions of GE). 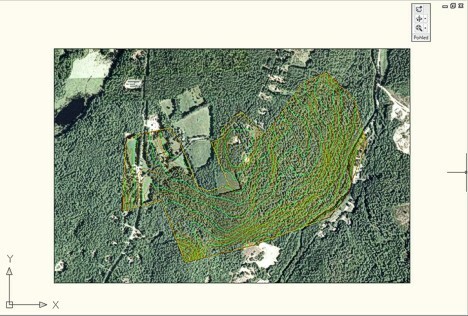 Attach the image (IMAGEATTACH) in the plan view of your project, in a proper location (georeference) and size (scale). It will appear under the terrain surface. Start the DrapeImage command - i.e. click on a surface and in the ribbon "Surface > Utilities" choose the "Texture drape" function. In the dialog then select the requested image and surface. In the Material Editor (MATERIALS) you can verify the automatic creation of the material attached to the terrain surface object. Tip 9375: How to import 3D CAD data into Autodesk FormIt? Tip 9197: Export of 3D CAD models to Google Earth. Tip 7852: Put Google Earth maps directly into AutoCAD. Tip 7118: Vertical exaggeration of 3D terrain. Tip 6770: Locate Using Geographic Data option is disabled. How to explode linetypes (to dashes)? « | » How to make some layers an "inactive backgound image"?